The start of a new year serves as a fresh reminder of new opportunities to pursue goals. 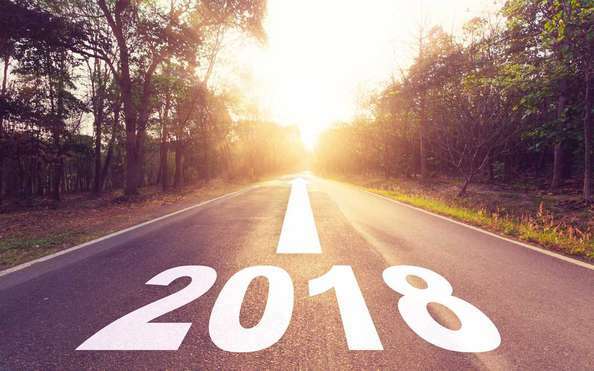 Now that the start of 2018 is upon us, we thought now would be a great time to talk about resolutions for law practices. As a lawyer at a small or solo practice, have you made any resolutions regarding your practice? Whether you are a solo practitioner or a lawyer at a small firm, here are some ideas that might be beneficial in helping to make 2018 a stellar career year. Efficiency is an absolute necessity for law practices. As competition increases among firms, those firms that are able to deliver top-quality services with impressive efficiency are best-positioned to hold a distinct market advantage. However, solo practitioners and lawyers at small firms typically have added work responsibilities compared to lawyers at larger firms, which really adds up fast and ultimately leaves less time for practicing law. There are many ways to make a practice even more efficient. One simple way to achieve that is to utilize project work. The traditional way of hiring lawyers can be a time-consuming process. However, working with one or more lawyers to help out on projects can help you find more time for whatever area of your practice you need to focus on, whether on the business or practice side. Plus, project work allows for more work to get done at a lower cost and in a faster amount of time. In so doing, you can make your practice even more efficient. While there’s no one definition for what “work/life balance” actually means, work/life balance sure sounds nice. However, in reality, it can be very difficult to attain, especially for lawyers. As a solo practitioner or lawyer at a small firm, there may be times when trying to take more time off is simply not possible, since resources for help on specific projects are limited (especially compared to larger firms). In these and other types of situations, utilizing project lawyers can really help in managing work/life balance. Having the ability to hire a lawyer to help you out when you need it, even on short notice, might just be the key to having a better work/life balance. With project work, work/life balance can become a reality. At its core, mentorship centers on guidance – an experienced professional providing guidance to a lesser-experienced professional. For many lawyers, mentors played an instrumental role in helping to develop their careers. It’s important for lawyers to continue providing mentorship for the next generation of lawyers. When the word “mentorship” is used, it can certainly sound time-consuming (but it doesn’t have to be). Many lawyers might wish they had time to mentor emerging lawyers just starting out their careers, but simply lack available time to do so. Perhaps surprisingly, project work can be a stellar forum for mentorship. Think about it: An experienced lawyer hires a project lawyer to help out with some work. The project lawyer gets to work for or with that experienced lawyer and, in so doing, there will be built-in communications about the work – what to do, how to do the work, etc. Guess what? That’s guidance – and that’s mentorship! This process can involve very little time on your part and you can actually save time since the project lawyer will be completing tasks that you’d normally have to do yourself. Talk about a practical way to be a mentor and give back to the profession. Growing your law practice doesn’t have to mean hiring a bunch of new people on a permanent basis and thus paying all of the extra expenses for employees, including hiring, training, and other regular employee expenses. Sometimes, utilizing non-permanent workers is an efficient way to develop a business in a cost-effective manner. With many eager lawyers seeking project work opportunities, now is a great time to tryout this effective way to build a business via project work. What’s great about this hiring method is that you don’t have to make any long-term employment commitments, so you can evaluate how the business continues to unfold in time and hire on an as-needed basis. Additionally, project work provides a way to find a reliable lawyer whom you can turn to when you need help in the future, which can essentially be like having an employee available on-demand, but without the overhead expenses. The result: a flexible way to build a business. Technology has undoubtedly helped lawyers in their practices. With such a broad array of technology products and services available, opportunities to advance a law practice abound. As a solo practitioner or lawyer at a small firm, utilizing an online platform for working with project lawyers can completely change the way you practice law. And it’s so simple to use. Through the power of technology, you can be swiftly connected with lawyers who are eager to work for you – and all you have to do is sign-up and submit a project. Yes, it’s really that simple. The Lawyer Exchange platform streamlines the entire project process from start to finish and, in the end, saves you valuable time. Additionally, you’ll save so much of your valuable time in the process compared to the traditional, time-consuming hiring process. Utilizing the latest technologies is imperative for staying competitive in the legal profession, so use technology to your advantage when it comes to your hiring needs too. For a solo practitioner or lawyer at a small firm, overflow work can present a huge challenge. How will the work get done? Are there really enough hours in the day to get this work done? When overflow work arises, you might need additional help right away. If that situation has ever happened at your firm, we have good news for you: You can now welcome overflow work – because there is a solution. By simply accessing an on-demand platform that can readily connect you with project lawyers looking for work opportunities, you can quickly find one or more lawyers to help you anytime that you need help. With such a simple solution to what can otherwise be such a complex challenge (overflow work), you can now welcome overflow work knowing that the work can get done on-time.